Hoya sigillatis is part of the Acanthostemma section of Hoyas; it was described in 2004 and endemic to Borneo. My history with Hoya sigillatis began with an order that I placed for a huge plant from an Ebay vendor from Thailand in April of 2011. It arrived with the roots completely rotted off and most of the leaves had fallen off. I managed to get a few tiny cuttings to root from this mess, but the plants never really took off and grew the way that they should have. 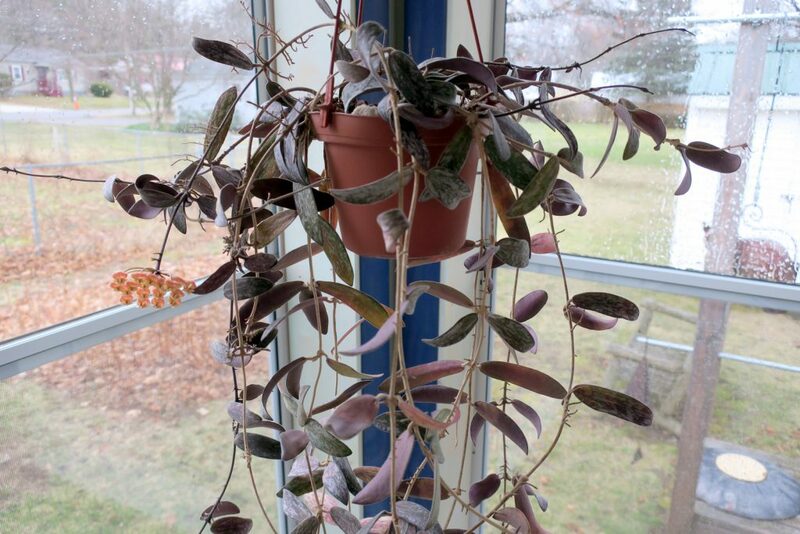 Two and a half years ago, I traded a very nice woman in Florida a Hoya praetorii plant for some nice cuttings of Hoya sigillatis and these actually grew much better, albeit with many stops and starts. Finally in April of 2016 the plant produced a peduncle and flowered. The flowers smell very faintly of caramel and last about a week. 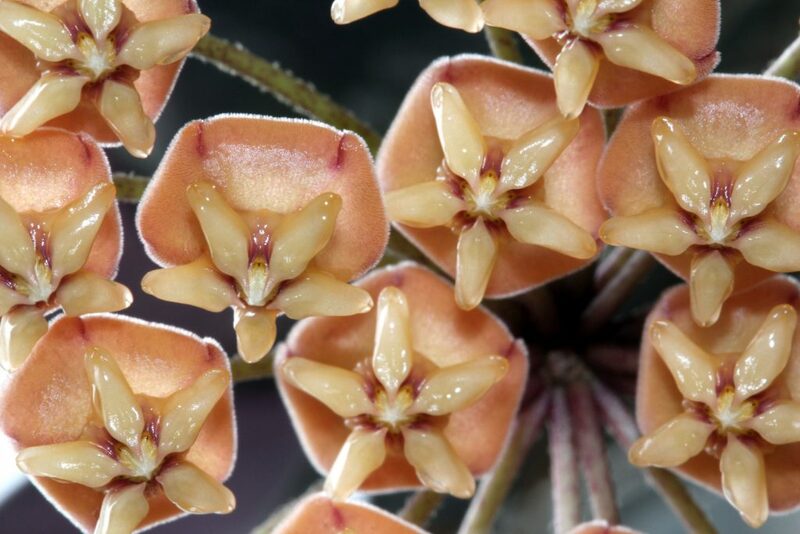 I don’t think I’m really the best person to give care tips for Hoya sigillatis, because of my struggles with the plant, but I have done considerable research and here is what I’ve found. Does not like to dry out, but doesn’t want wet soil – keep slightly damp. Does not like to be moved. If plant is happy, keep it where it is. Does best in strong to moderate light. Likes average temperatures and humidity. Overall I would have to say everyone should give this plant a go, because the rewards definitely are worth all of the effort!